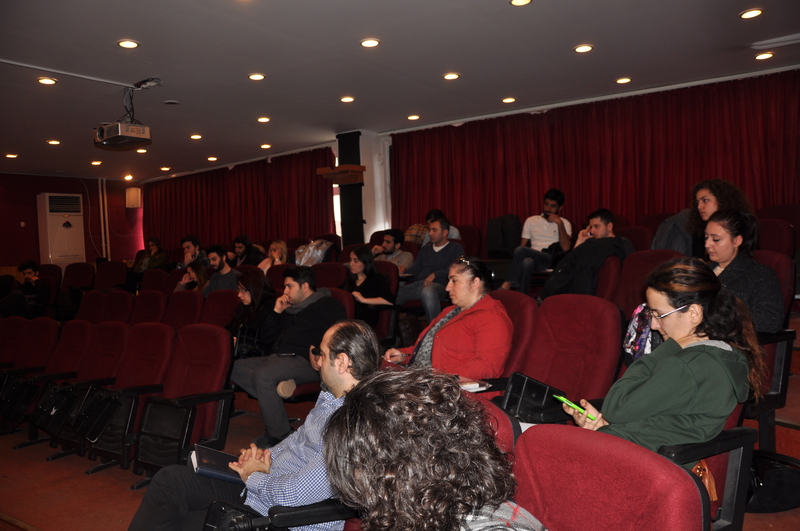 Tülay Çığıraç came together with students of Faculty of Communication to share her experiences about Digital Tv Broadcasting. 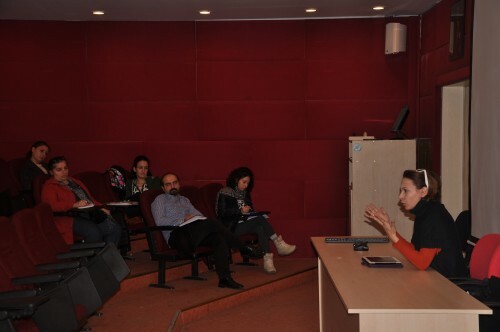 Working in this job for about 14 years, Çıgıraç said that she worked in deparment of women, children and documentary and then she was interested in culture and arts. Çıgıraç said “It is impossible to work since culture and art programs do not get ratings. So I changed my sector.” Tending towards marketing sector and so aiming for leaving everything behind about media, Çığıraç said that it is impossible because social media is a part of marketing. Talking about the improvement process of internet, Çığıraç said that in the meetings and seminars abroad, the shared concept is that Internet is in age of puberty. Advising students to be free and not to think about the boundries, she pointed that Internet will get rid of all malicious, vulgar and harmful contents when it reached maturity level. Stating that I am not an advertiser, Çığıraç said that the progression of advertisement is obvious while it is not obvious in digital field. She said that ” Tv commercials are transformed directly to the digital platforms. However, in these commercials message is at the end while in digital platforms those messages should be at the begining.” Çığıraç said that according to researches, people decide to watch videos in first 15 seconds.